EyeC China and EyeC GmbH, the German expert for print inspection systems, will present its high-speed print inspection systems at the Labelexpo Asia 2017 in Shanghai from December 5 to 8, 2017. The company’s inspection systems support the most modern processes and ensure the print quality throughout the entire production process. 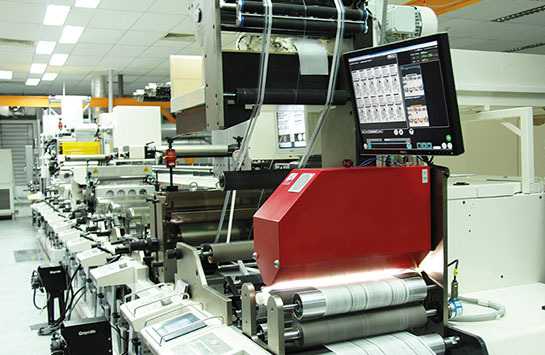 At Stand B35 in Hall E1 EyeC will demonstrate together with the rewinder manufacturer Onemech the EyeC ProofRunner Label. The solution delivers 100% print inspection, even on the fastest presses or rewinders on the market, running at speeds of up to 600 meters per minute (2000 fpm). The company also offers the EyeC Quality Link, which enables the inspection results from the press to be evaluated at a separate station and used later on the rewinder to remove all defective labels. The benefits are clear: The press operator can react more quickly to avoid expensive material waste, while rewinders can run more efficiently by avoiding unnecessary stops. Moreover, EyeC will show its pre-press proofing software the EyeC Proofiler Graphic and its off-line inspection system the EyeC ProofBook. The latter checks the print quality of multi-page samples such as booklets, leaflets, catalogues, or user guides. Exhibition visitors who would like to know more about the benefits of efficient quality control can see EyeC’s inspection systems in action at Labelexpo Asia that includes 100% print inspection for printing or finishing with the ProofRunner Label, Integration and Optimization of inspection process with the EyeC Quality Link and Fast and secure off-line testing of multi-page samples with the EyeC ProofBook.